I can’t express how grateful I am to the Water Protectors at Standing Rock for risking their lives and livelihoods to fight for our water. Members of hundreds of Native American tribes and environmental activists are putting their lives on the front lines to stop the Dakota Access Pipeline from illegally being built under the Missouri River (that supplies water to 17 million Americans). Many of these tribes, including our neighbors the San Carlos Apache, Navajo, Hopi, and the Tohono O'odham are currently fighting to protect their own land and water from big business. 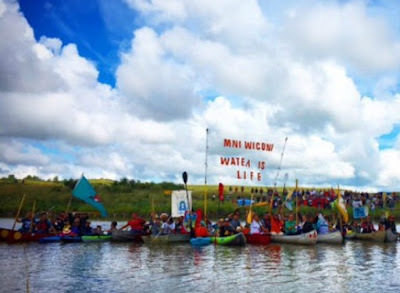 This fight has become even more urgent and dangerous since the pipeline construction has reached the river. These brave Water Protectors are risking being maced, shot with rubber bullets, being beaten and arrested by militant police in riot gear. Some have even been arrested while praying. They have been strip searched and kept in kennels for trespassing. This is especially traumatic for indigenous peoples because it brings back generations of suppression and abuse by the government and the police. I am so proud of my friend Elizabeth for going to Standing Rock to help the Water Protectors. She invited me to share her tent. I was really torn about whether to go. The UNESCO Food and Water forum was that week. 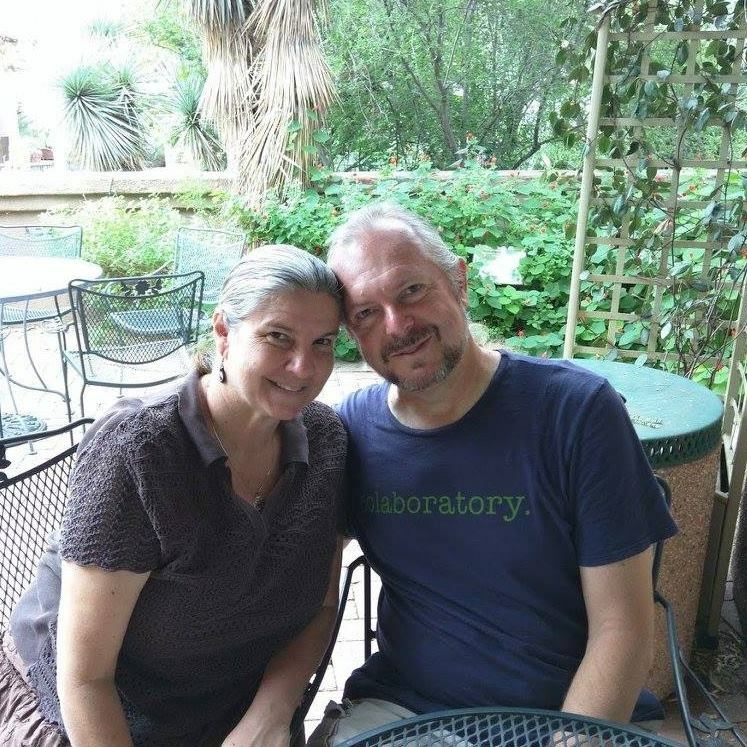 After searching my soul, I decided that my fight is here in Tucson – learning about rainwater harvesting and sharing what I learn. In these scary times, we all need to figure out where our talents are best served. We may not all be able to pick up and go to Standing Rock; but one of the many ways to demonstrate our support to the courageous water protectors is by protecting the water where we live. It may be hard to believe - since you can easily turn on the tap or the hose - but there is a limited supply of water here in Tucson. We are currently in the midst of a 21 year drought. Nearly all of Tucson’s water is supplied by the Central Arizona Project (CAP) – Colorado River water pumped 360 miles uphill to get to us. And there is not an endless supply of CAP water. 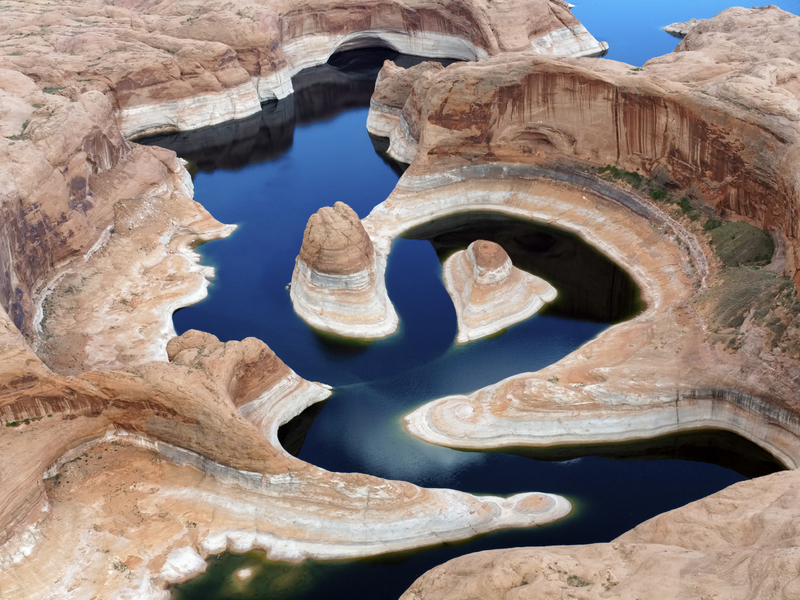 As drought affects more states, there will be more competition for that water. By compact, California has first dibs on that water. 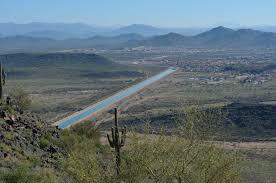 Tucson Water is well aware of the shortage. That is why they have incentivized rainwater harvesting with a rebate program. There is enough yearly rainfall to supply all of Tucson’s water needs if we “plant the rain.” But our current infrastructure is built on an archaic model of flood control that directs our water out of our yards (when it should be sunk into the ground) and into the streets to evaporate. 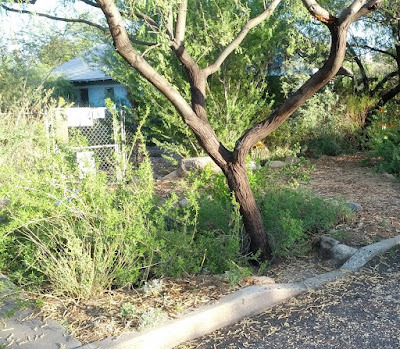 Fortunately, there is something we can do about it: Homeowners and businesses can incorporate rainwater harvesting systems on our lots and yards to restore our aquifers. We can landscape with low-water-use desert plants. And we can all become more conscious of our daily water use and learn to conserve it. Outdoor use makes up the largest percentage of our residential water use (27%). Once we become aware, we can see all kinds of ways to conserve water. Did you ever notice the little patches of grass along our city streets? Probably not. But each of those is irrigated with sprinklers. Those sprinklers are on timers that often water in the heat of the day (when it just evaporates) or when it is raining. Our neighborhood park is on a timer – so the grass is watered even when it is dormant. Isn’t this a problem we can fix? Do we really need all those little patches of roadside grass? All of us can get in the habit of watering our plants in the early morning or evening to keep the water from evaporating. And how often have you seen water flowing down the street from over-watering? We can educate ourselves about the trees and shrubs we have. 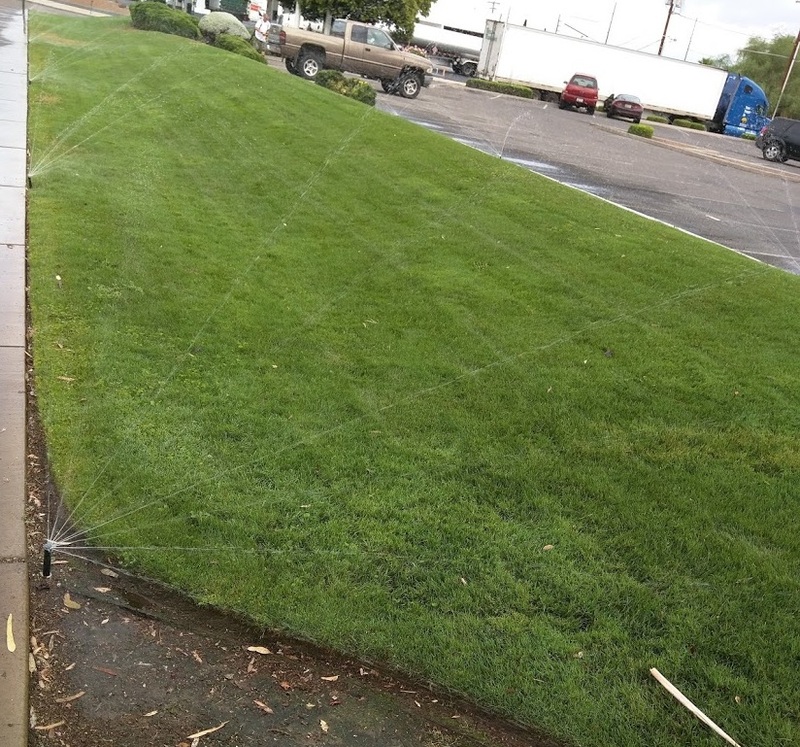 Some require infrequent deep watering a few times a year! We can embrace that we live in the desert with its own unique beauty. (I was going to suggest that we embrace our desert plants but that would be painful!) We can landscape our yards with cool desert plants that don’t require much water. There are native plants for nearly every landscaping need (from shade to privacy.) You can learn more about incorporating desert plants into your landscaping at Watershed Management Group and Desert Harvester workshops. Protecting our water is one of the most important responsibilities of our time. What a great way to show solidarity with our courageous Water Protectors! You are a water protector in the work you do. In solidarity, Eli. Thank you so much for your thank you Jana. Thank you for the work you do. Water protector. Its a great advocate to protect and conserve water. While it is good to have a rally to show our concern over water, from what I know it is also good to have a document to show the policy makers how precious is these water sources. A good research document output is one example to show to these people. Without facts it is hard to convince those that are not concern over water resources.